About a year ago, the folks at LinkedIn approached me with a question: How much daily time should career-minded professionals devote to managing their brand? How many “clock hours” does it really take to achieve those professional goals? It was a great question. Before coming to me, they had done some research of their own, which revealed that most people think they need to devote 30 minutes or more each day. Who has that kind of free time to focus on personal branding? Unfortunately, because we believe we need to devote such a significant chunk of time, we end up devoting none. So I embarked on my own research project to determine the minimum number of minutes you need to spend in order to make a significant impact. If the effort doesn’t seem onerous, you’re more likely to make it part of your daily routine. What I found might startle you. The actual amount of daily time you need to spend working on your career – as opposed to working in your career – is just nine minutes. There’s a lot you can do in nine minutes. Before settling on the number nine, I looked at what can actually be accomplished in nine-minute bursts. There are thousands of career-building activities you can easily complete in that brief span. The ones you can’t complete so quickly can be broken into nine-minute milestones and achieved in successive days. It adds up. 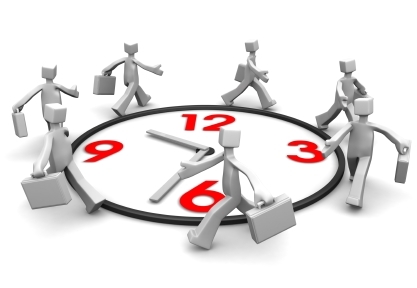 Nine minutes per weekday translates into 45 minutes a week, or roughly one full workweek each year. It’s like giving yourself a weeklong retreat dedicated to the brand called you! You likely have nine minutes. This brief but focused period eliminates the “I don’t have time for career management” excuse. When your career is important to you, you’llfind nine minutes in your day to shift your focus from what you do to where you want to take your career.